But it won’t be 4.6 without new feature. And based on your votes in our roadmap we realized that we definitely must add Today and Clear Buttons to dhtmlxCalendar. Like was already said, this update comes with lots of bug fixes and improvements. Due to your reports, we were managed to find all these fixes. Full list of them can be found here. Download the Standard Edition here. 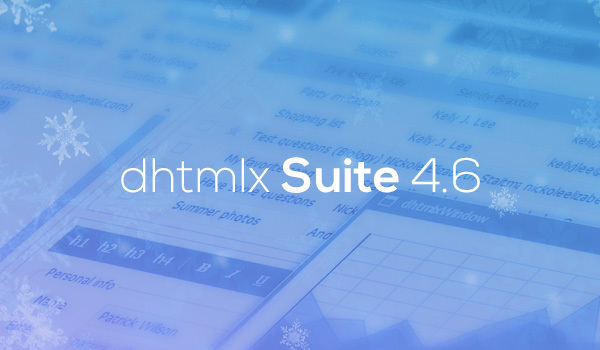 Meanwhile, DHTMLX Team is working hard on new major update – dhtmlxSuite 5.0. Check out our roadmap and take a part in voting for the new functionality. Wow, this is great! Greatly appreciated. You just made a lot of people very happy.